Earlier this week, I finished up a print version of my Faces of Cuba portfolio and sent it off to Blurb for printing. This was an end of summer personal project where I went back through my photos from our trip to Cuba in late January and tried to create twenty portraits that captured some of the moods we experienced there. These kinds of projects help keep me fresh – and, when I can’t be out shooting a lot of new things, then working on photos from my existing archive is very therapeutic! About half way through that Faces of Cuba project, I began experimenting with a couple of the black and white film emulations in the VSCO Film presets. For most of them, I settled on the Agfa Scala 200 that in VSCO Film 04. I love the look it has – although I do back down the grain. This is a tightly cropped (and, thus, perhaps not as sharp) image from our very first afternoon upon arrival in Havana. After briefly settling out stuff in the hotel, we headed down the Prado, the main street just next to the hotel and we quickly felt immersed in Cuba! I love his look – “attitude” I called it – and think it looks great as a monochrome with some subtle platinum toning in the shadows. 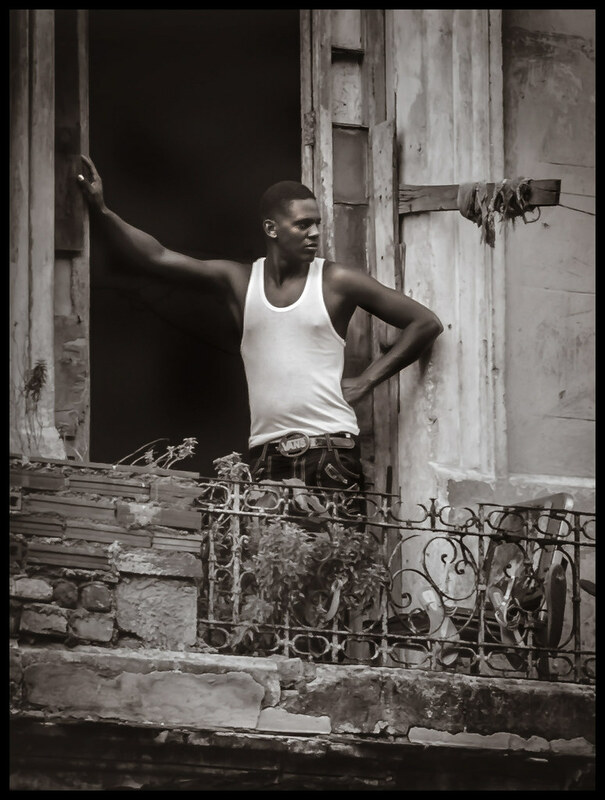 He didn’t make it into the first print edition of Faces of Cuba – but perhaps he’ll be in the second edition! Well I’m sorry to say all the technical photography talk is lost on me 😎 but I agree, it’s a great photo, and definitely does exude attitude. Great title for the pic! Brenda, thanks! So glad you liked it!